When starting deployment on Site servers deployment fails with the following error: Failed to run Task sequence. 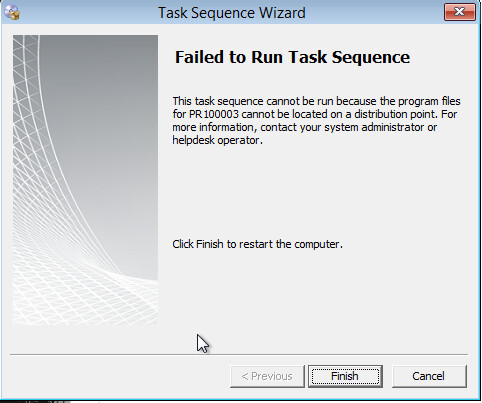 The task sequence cannot be run because the program files for ******** cannot be located on a distribution point. For more Information, contact your System Administrator or Helpdesk Operator. How to Issue A certificate in Certificate Authority server? B. In right panel, Right click Request ID -> Issue.